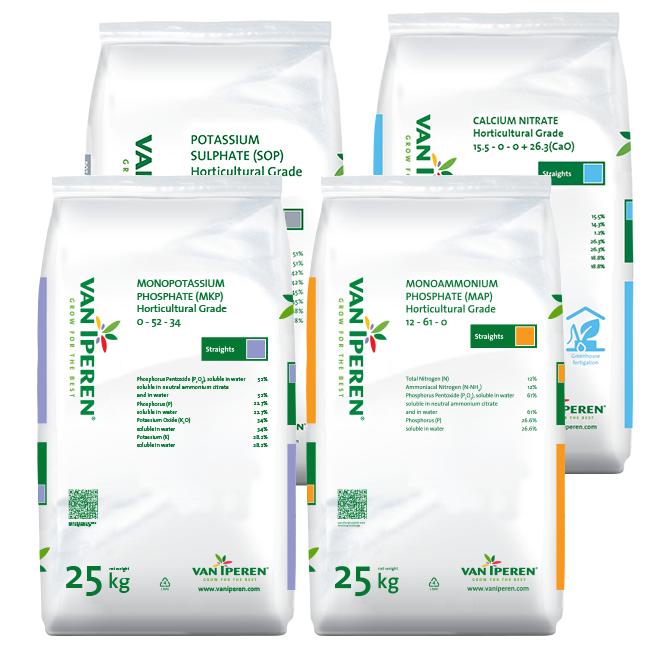 Working in partnerships is in the DNA of Van Iperen International. As of the start of our company we have deep rooted relationships with several European production partners. Together we offer you the complete range of high quality WS Straights for fertigation and foliar application. 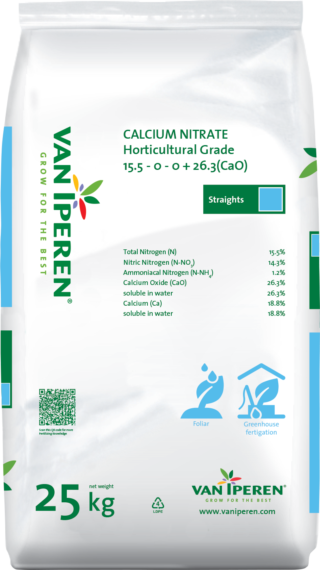 From Calcium Nitrate to Potassium Sulphate, from Magnesium Nitrate to Monoammonium Phosphate and from Potassium Nitrate to Magnesium Sulphate. Their production know-how and capacity combined with our market approach and global distribution network creates a unique synergy. In addition to delivering high quality products, we also care about the packaging. We offer a complete range of top quality Straights packed under one single brand, enabling you to differentiate in the market. All Straights come in the same packaging style, with superior quality foil and strong sealing. With each product group having its own color, it makes them easy to store and use. 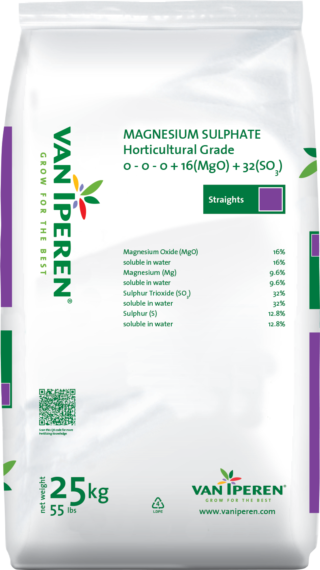 Van Iperen Magnesium Sulphate Horticultural Grade is a highly pure Magnesium fertilizer which dissolves rapidly and completely. Our product has a limited caking sensitivity and is recommended as of early spring until fruit setting. The high level of Magnesium in our formula contributes to the production of chlorophyll. The absence of Nitrogen combined with the presence of Sulphur limits the vigournes of the plant. 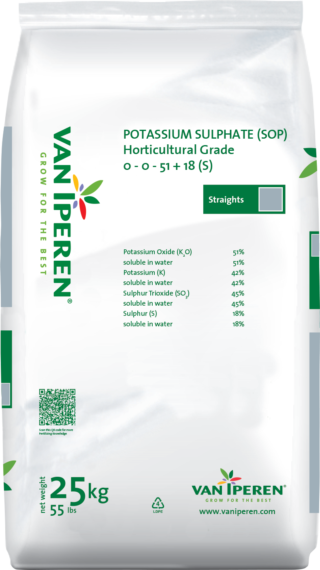 Van Iperen Potassium Sulphate (SOP) Horticultural Grade is a highly pure Potassium fertilizer, free of Nitrogen, which dissolves rapidly and completely. Our product is not sensitive to caking and is recommended during fruit or tuber development, especially during periods of drought. The high level of Potassium in our formula improves the cell pressure and regulates the functioning of stomata. 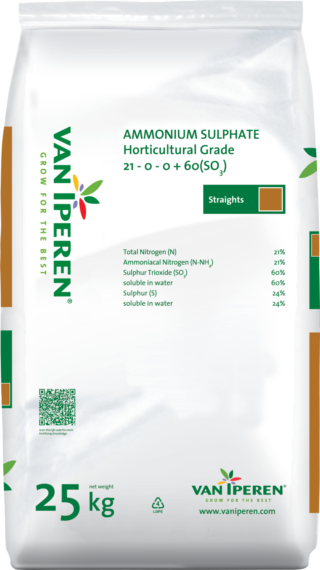 Furthermore, the absence of Nitrogen combined with the presence of Sulphur support generative growth.